Imagine instantly transporting back to your wedding day & hearing the first song you danced to or feeling the balmy breezy at the altar. 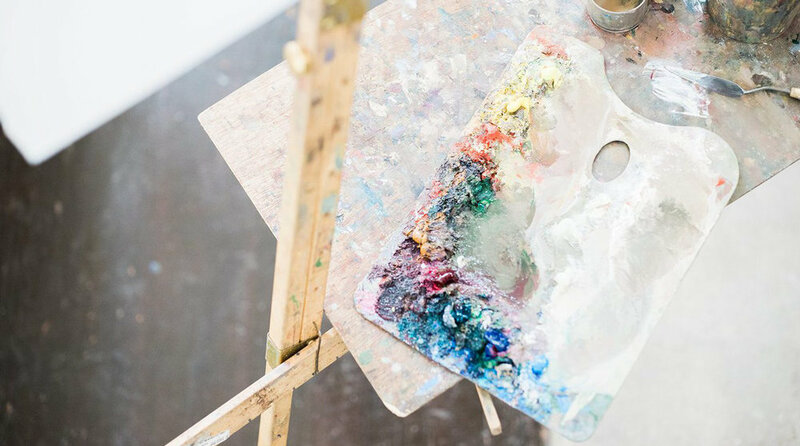 Live event painting lets you watch your love take shape through the eyes of an artist, capture a collage of connections on canvas, and relive the magic of a memory that redefined your family forever. Hang a meaningful masterpiece that’ll tug your heart back to that dreamy day — every time you look at it. Serving Orange County, Los Angeles, and Greater Southern California. The portrait was stunning and every time I look at it, I smile and reflect back to a milestone and event that we cherish. I can’t recommend her enough-worth every penny! Her painting is the most valued tangible item we left our wedding with. Money well spent and the painting will be in our family forever. Everyone should make this part of your special day!!! There are no words to express the brilliance, talent, and passion I would use to describe Laura’s ability to capture a moment. 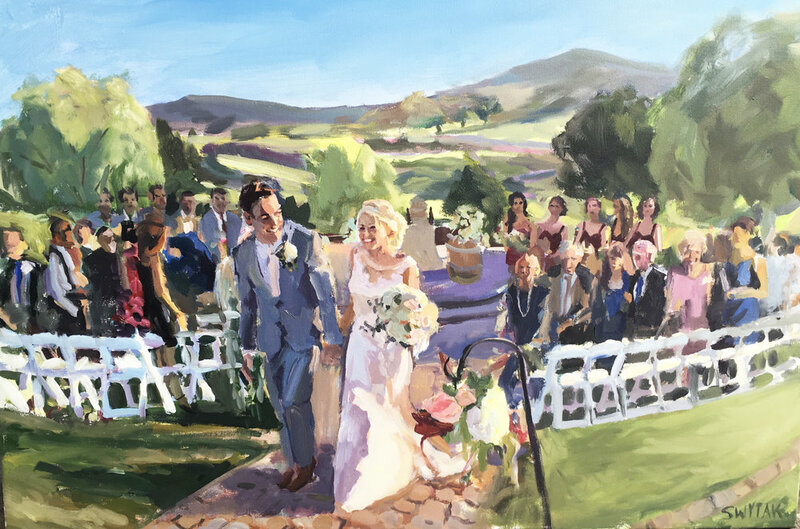 Our wedding painting is my favorite addition from our big day besides my husband. My advice to a couple deciding on booking Laura as their event painter would be YES! YES! YES!!! Her pricing was well worth having her there and the fact is you get an original work of art. My daughter and her husband will not need to watch a video or open a photo album to remember their special day… just glance at the wall and see the memories explode. One of the best people I worked with while planning my wedding!! She is amazing and her work is out of this world. Our painting is way above our expectations. Everytime I look at it I get a huge smile on my face!